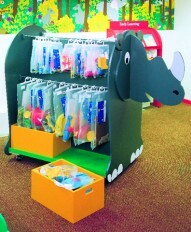 A Big Book Display Storage Unit with Display feature. Available with optional header panel. This item matches the Tortuga Library Shelving Range.